Number 3 in a set of 8 Australian State Badges to be released in 2018. 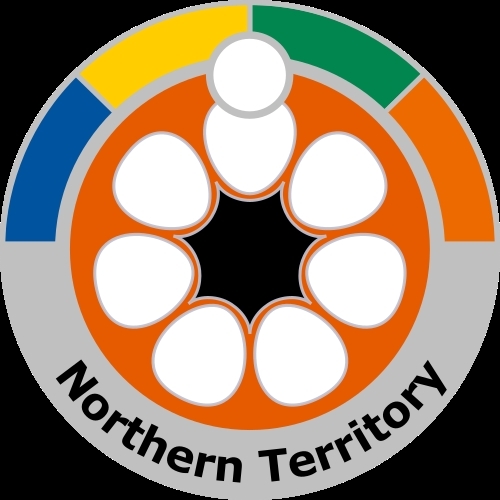 Featuring the state badge of the Northern Territory. 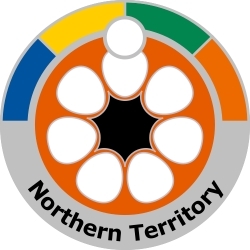 When self-government was granted on 1 July 1978, the Northern Territory adopted a flag. The flag is divided into two panels - black at the hoist equal to one third the length of the flag and the other in ochre. The main emblem is a stylisation of Sturt's Desert Rose, and uses seven petals around a seven-pointed black star, evoking the Commonwealth Star.